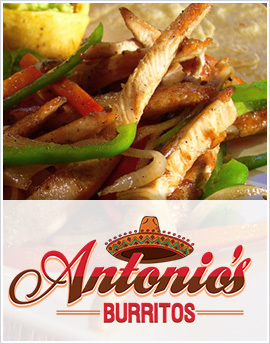 If you wish to opt out of receiving offers directly from Antonio’s Burritos, you can unsubscribe by following the opt-out instructions in the emails that they send you located at the footer of the communication. We can be reached by postal mail at 116 South Lincoln Avenue Loveland CO 80537, or by phone at 970-300-4951. You can email us at antsburritos2@gmail.com with questions, comments or suggestions.